So something that we have, I did come to our site and I’ll link you to be always, I don’t know why the call to action is here. You need a call to action at the end of every single post and you can do that I mean this is a pretty choice WordPress site. 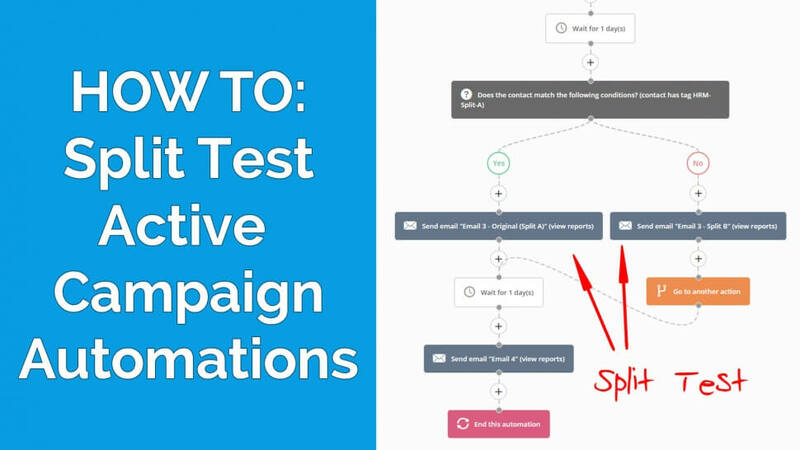 So one thing I would look to is include the guarantee call to action and opt-in at the end of the single post you do that’s really obvious in the box and its just obvious because at the moment I cant really see where your call to action is and what I am suppose to do yes its Optimizepress. I would presently you want to be looking LeadPages. Optimizepress they’re very limited, it has this very limited design and I know its huge to other network in marketing world but I would certainly be looking at LeadPages just because a WordPress theme is focused around opt-ins I then I’d have a landing pages it would just make the whole thing the more fresh and now I could show you so I mess up and stuck on this one because we split test everything including headlines so I’m pretty have just messed up, I didn’t know the click button. shown its all by images so I’d be getting images out here, again that’s really easy code where organised plug-ins although I have plug-ins but really easy stuff here to get rid off cart, definitely you don’t want to be using two comment systems, very confusing. I do have some kind of opt-in in the filter so people can, its just simple for people who gets the first and you want them to do something so I would look at doing that maybe. For example, one of my client’s front page buying compress lounge, Aaron so you can make more of your home page is what I’m thinking is he’s got opt-in straight on the homepage. He has some stuff of code in here because this is brand new, this website at the moment and he essentially came off with the same thing and based on the opt in here in the bottom alignment is what we are working out was to split test and that split tested and I think you would be looking at split testing your head lines. I don’t know if this is the opt-in if it’s new, I don’t know. Again the share buttons, so you are using, I can’t remember what plug-in that is but if you want a ready to go plug-in to really help and that kind of stuff, maybe look at using a plug in called Easy Social Share that I believe you can get from Themeforest or Theme market or whatever it’s called. Its easy social share plug-in for WordPress that will just make your life easy, so much quicker to load and loads of really good options, personally I’ve tried millions of share plugin anything like AddThis Social Share or Socialoholic or something, they’re horrendous, they slow down the site so much. This is pretty much you don’t hear in Easy Share plugin that I’ve found that I even care about otherwise you could code your own plugin and trying other social share options and again opt-ins or your call to actions are way too small and I guess this actually in the post call to action, this needs to be way, way bigger. I got where are the page and just one more by that just by having logo or one on the page and put that on first, doesn’t have to be in your face but just mention it or it might be a nice thing to just have some logo where, get all social proofs always helps things along and again this just 2 cluttered I’m sorry for that but this thing is so easy to correct and I see this so often. When you have people on your site, you need people to take the actions you want to and you got click here, click here but you won’t see a load of stuff over here. Of using with double comments. I don’t really know why you need comments here. I just be going a big bassoons that says click here, click here and yes probably trying the videos again you’re looking for people who clicks here and you’ve got the side bar and so if I have to challenge you I would say all of your opt-in pages or your major or page like this. Yes, again take a look at first thing completely will kill opt-ins but the rest of it, its like the landing page is fantastic, they need this kind of thing, the need simple call to actions and no extra stuff but sort of the funnel or the initial funnel pages or the traffic pages, those pages, too much around over here. You could lay that out in a lot better way. There are loads of really good guys in your entry or selling products at least, digital products that have those some of the great pages and maybe a follow up with some of them with you or you can give me a shout if you want some really good examples with others. So, yes I would its just a sort of or about simplifying it too much make you and a lot of your page here but this is important in this area and this right hand corner up here. This is all about making how many call to action so if you want this, effectively this, you could do some redesigning and have this call to action up here and make it at the top right hand corner is the most important place on the website and currently is your name, that is great but no one without being too frank, no one cares who I am, no one cares who you are and I notice that building trust, but you could get people to opt-in out there instead of just looking at your name because generally lots of people comes to a website and not really going to come back just some ideas and I tell him going it too far I mean there’s so many I mean more than half of what I do is hundred point marketing checklist and there’s just so many things that even just before you look at that, I’d been looking at doing before and doing that. 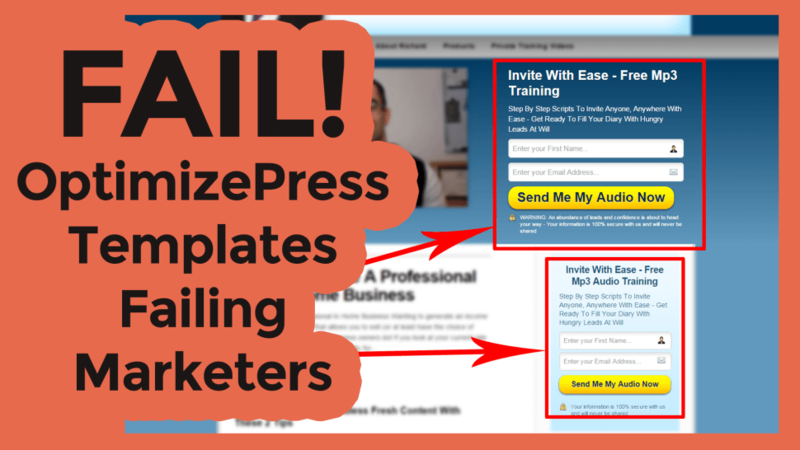 So just a few idea around your site is pretty easy changes to make if you’re not using Optimizepress. 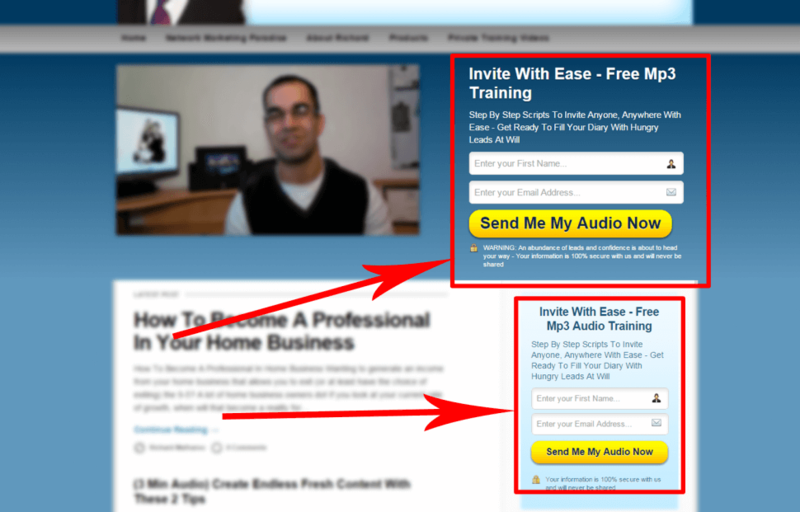 xI look at you’re using Optimizepress and landing pages if you’re going that way and personally I’d pick LeadPages as an option for this kind of level any day and I’ve got well earn the complete strategies to be on Arron used to be on Optimizepress and since I’ve started working with him, the result is so much higher with LeadPages and I really consider it. If you want some training after it I’m more than happy to soon, more and more stuff out there, not reusing the work with anyone else at the moment there are like really great people to work with. If this the open goal website, a few changes would just make a massive a difference, I’m going to hit 20 minutes so I could teach you on Google+ and maybe be great to bumping to each other on Google+ again soon and as I said, your website would be so easy to, you really need to generate traffic, I could see on a light to see you’re alright but its all about making the most of what you’ve got so yes, easy stuff so have a great evening and day the rest of it Richard and…..
Optimizepress templates are failing marketers and business owners on a day-to-day basis. 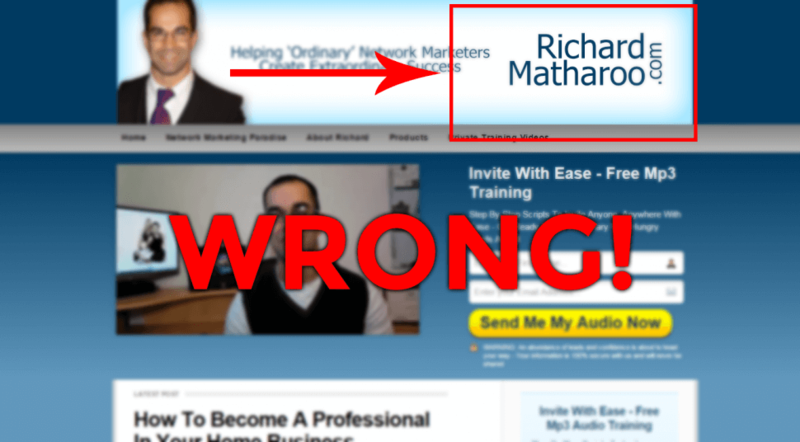 A few days ago I got talking to Richard Matharoo on one of my favourite social networking sites Google+. He asked how I get traffic to our Fridge Magazine website. I have had a number of questions about this recently so as mentioned in the video above we simply make the most of the traffic we do have and encourage people to share our content and become fans. This is a sight you see all too often around the Internet. A mishmash of optin boxes and random bits of content desperately trying to grab the viewers’ attention. This seems to be an common trait among many Optimizepress based websites. On so many levels this site fails to even meet some basic web design standards and principles. However if we step past the funky HTML coding, accessibility issues and restrictive CSS and look at the aim of this website we notice hundreds of bad marketing practices often seen on unoptimized websites today. The basic aim of this website is to get potential customers to optin to an email marketing list or buy Richard’s products right now. With this in mind let’s look at just some of the basic steps that could be taken with a site like this to get some quick wins and optimise the site for optin’s and sales. When someone is looking at your website having lots of input boxes just clutters the screen up. It takes people’s attention away from your offer/optin bribe and focuses their attention on the scary prospect of giving the email address away. Not to mention extra personal information like a request for their first name in the case of Richard site. The people to optin here they have to think about going through three steps, one enter their first name to enter their email address and three click the call to action (CTA) button. It is a well-known fact among psychologists that if someone commits to a small yes then there are a lot more likely to say yes to your bigger request. So by simplifying the call to action down to just a button people are left with the decision of do I want the optin bribe or not. 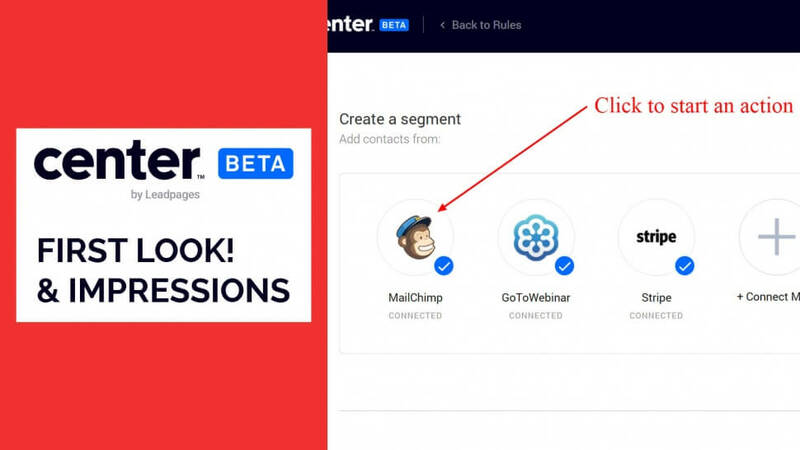 After committing to receiving the optin your customer is then a lot more likely to want to comply with your bigger request asking for an email address. People by nature also don’t like to leave things half done. So by going halfway through the process of accepting the idea of an optin bribe they feel compelled to complete the process. This is just a very basic overview of the reasons to create a 2-step optin process. I will return to this subject in the near future and go through the psychology behind them and how easily create a 2-step optin process in depth in a future article. For many years websites have had a two column layout. However if we look at it from the customer’s point of view and a marketers point of view we have to question if sidebars are still relevant today. As you can see below this like many sidebars you see across the web has lots of distracting pieces of ‘content’, well that’s if you would even call it content. For many years sidebars have not offered potential customers enough value for them to take them seriously. This means these days most people just blank them out. In this case there is so much content in the sidebar that people who may want to interact with it end up with choice paralysis. There are also two call to actions sitting one top of each other confusing the reader where they should go. Most probably people have come to your website because they found your content either on a social network or via search. So the idea of creating this content is to build trust with your new prospect. However placing the call to actions almost before the reader has had any chance to get to know you and understand you are an expert will inevitably lead to very low click through rates, and very very low conversions the other end. On 99% of responsive websites the sidebar area collapses underneath the main content itself. (And if your site isn’t responsive catch up Google now ranks mobile friendly sites above non-mobile friendly sites). This means that anyone viewing the website on a mobile might not ever see this content as it’s hidden away under the reason they came to your website, to engage with the main content. To having only just scratched the surface with the reasons that sidebars are ineffective these days you have to question if it’s worth even having then there. And if there’s no reason why load the content inside them as it will only slow your website down. And as we all know the longer a website takes the load the fewer people will end up seeing your content and Google won’t rank you highly. People naturally look to the top right-hand corner of anything. So in the context of a website the first place they going to look when your website loads is in the header and the top right-hand corner. Below we can see the Richard has use this to be picture of himself and put his name in the top right-hand corner. On many sites you also see lots of social icons or like buttons in the top right-hand corner. However this is a prime area to put your call to action, or the main focus of the website such as a telephone number. The blog posts/articles or educational resources pages as I like to call them are probably the first page people I going to see when they come to your website. Your potential customers have come to this page because they have seen your content shared on a social network or via search. Having come to your site your most probably going to have to build trust with them before they take your call to action. In the picture below is a pretty standard messy Optimizepress layout, that is also common among many other website designs today. Always include a clear call to action at the end of every blog post. Never use more than one comment system as this will only confuse people who potentially might want to interact with the content. I will expand on all of the above and how to implement them in a future article. Sure it’s a good place to put all the necessary but not call to action focused links and the copyright information for the website. However just by the fact your potential customer has managed to get your footer means they’d most likely consumed the content provided and having clicked away yet. So the footer is a great place to continue building trust and place optin’s. You could do all kinds of things such as include images or logos of places in the media you have appeared, or add a call to action (preferably a two-stage optin). 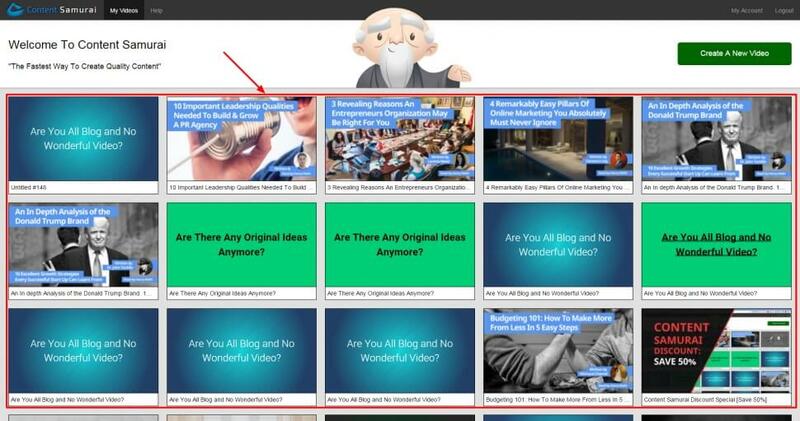 You could even put a link to your most read post or the most shared post as if they click on here and share this on is going to bring more traffic back to your website. Am I giving potential customers the opportunity to build trust with me? What courts to action to I want my potential customers to take? And last of all if you’re using premade template web designs or systems as Optimizepress templates consider if they are actually the best setup to use on your whole site. Or is it better to use a fantastically designed blog template and use tools and systems such as LeadPages for your optin pages. I really like your articles. Please do write on colors and fonts with images. Thank you for the comment. Just to clarify would like me to write about the relationship between colors and fonts? If so i am more than happy to do that. Very thought provoking article that challenges the norm and conventional thinking. Do you really think that there should be no sidebars? Man, I am not convinced of that, but I do get the idea of having a site that is not cluttered and overwhelming. Do you have any examples of what the ideal site should look like. Thanks for your insights and look forward to your comments. Appreciate the comment. Yes i know this is going away from the norm. So there are a few figures i have left out of this article as i’m going to go into this in more depth. – One figure i did mention in this article is 60%+ of internet usage is now on a phone where they won’t see the sidebar anyway. So it’s worth first checking your analytics and thinking about how people are actually viewing your site to start with. – Next most people now don’t see them as mentioned in the article. This is because they have been miss-used for years with designers filling them with junk. On an average good site sidebar will receive 1% click through rates. I have actually been doing a study on my companies site http://www.fridgemmagazine.com and some of my clients site. And we have seen the 1% figure as well. However if we put a CTA (call to action) under a article we see click through/opt-in figures more around 4 – 5%. So this takes us onto another point. Sidebar’s have historically been used to sell. However you can’t sell something before someone has built up some trust with you. So maybe the problem with the sidebar is whats in the sidebar rather than the pure fact they are there and can take the attention away from an article. The solution is to put only things that don’t take you away from the article such as social profiles and some valuable info like an about us/me section. As ever best practice and design will differ for everyone. And there is nothing like split testing to find out what works. I will expand on all this and more in an few articles coming out soon. So look out. Good to meet you Steven & i look forward to continuing this conversation on here and G+, Twitter. Anyway, thanks for the article. I found it very informative and helpful. Thank you for your comment. Please see the below video for my reply. © 2016 Henry Reith | All rights reserved.